Google Student Blog: Announcing the 2017 Google Scholarship Recipients! Announcing the 2017 Google Scholarship Recipients! 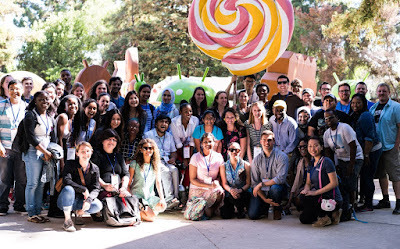 Since 2004, Google has awarded almost 2,500 scholarships to students from underrepresented groups in technology to inspire and help them become future leaders in the field. We are excited to announce this year’s Google scholarship recipients in the US, Canada, Europe, the Middle East and Africa! These students come from diverse backgrounds, are passionate about technology, and have proven themselves as leaders and role models within their communities. By supporting these students with an academic scholarship and a trip to Google for the annual Scholars’ Retreat, we hope to not only support their academic pursuits but also empower Scholars to encourage and inspire those around them. Congratulations to the 2017 recipients of these scholarships who represent 88 universities in 19 countries. These students will join a community of Google scholars who are actively changing the diversity status quo in the tech industry. We can’t wait to see what the future holds for these exceptional students!